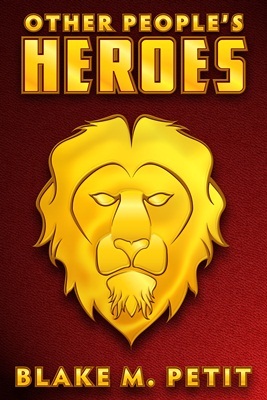 So in the past month, I’ve gotten Other People’s Heroes in every online eBookstore of which I am aware. I’ve sent out queries to dozens of different book bloggers offering free copies in the hopes that they’ll do a review. I’ve heard back from over a dozen of them that have offered a review, and a couple of them have even posted so far. But I’m still trying to get the word out, because I’m doing all this myself, friends. I’ve got no publisher hustling up reviews for me, or taking out ads, or giving big, squishy hugs to reviewers who may be available to get the word out. One thing I haven’t quite gotten as much of a boost with as I’d like, though, are reviews at the online book vendors. Reviews at places like Amazon.com help to raise the book’s profile, and the more people who see it, the more sales I can theoretically get, right? So the question remains, how do I entice people to write more reviews? It’s not like I can start running contests or anything. I mean, I could, but I can’t exactly afford to start handing out iPads or the like as prizes. What have I got to offer? So here’s what I’m going to do. I’m currently working on the sequel to OPH, 14 Days of Asphalt. As you may surmise from the title, it’s a story that takes place across two weeks. It’s also a roadtrip story, and I’m in the midst of what’s called the “vomit draft” right now — where you just pound out the story to get it onto the page, giving you the chance later to massage it and turn it into a finished work. It may not be an iPad, but it’s something, right? Certain of my friends, and here I am thinking of you, Mike, have a tendency to ridicule me for seeking out movies, books, TV shows and comics that provide quality entertainment for children. In some cases, this is because the person delivering the ridicule has an empty black pit of despair where his soul should be. In most cases, though, I think the problem is that a lot of adults don’t really know what goes in to making really good entertainment for kids — and that goes for a lot of the adults responsible for making them as well. When we’re kids, we aren’t nearly as discriminating when it comes to our entertainment. We light bright colors and cool sound effects and things blowing up. Come to think of it, we like those things as adults as well. But as we get older, we realize that really good entertainment requires more than that. The things that make up good storytelling are universal — strong characters, clever jokes, inventive plotlines and the like are not dependent on the age of the audience. There’s a lot of kids’ shows that are utter crap. I’ve gone back and watched shows that I loved as a kid and I felt the urge to apologize to my parents for making them sit through them (and here I am specifically thinking of He-Man and the Masters of the Universe, which I always knew was basically a half-hour toy commercial, but I didn’t understand at the time was such a terrible half-hour toy commercial). The way to tell a great story for kids is actually pretty simple. Just start out by telling a great story, and then leave out the things that you wouldn’t necessarily want to expose a child to. That’s all there is to it. You don’t speak down to the kids and you don’t leave out the adults. Not long ago my brother told me I should try watching a Disney Channel show called Phineas and Ferb. I’m sure many of you out there are familiar with it, but until a couple of days ago, I had never seen an episode. Then, remembering his recommendation, I sought out the first season on NetFlix. Since then, I’ve been watching a few episodes every night before I go to bed, and laughing myself to sleep. It’s not just a great show for kids. It’s just a great show. 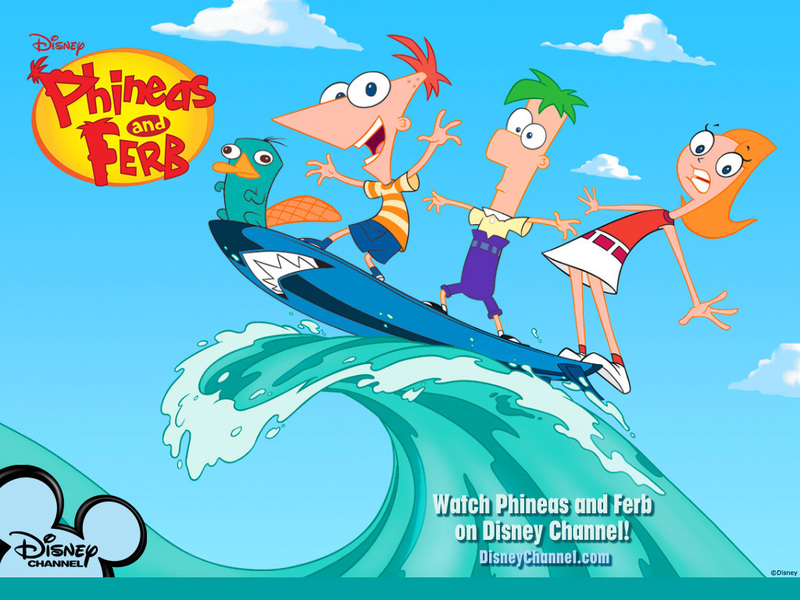 If you haven’t watched it, here’s the premise: Phineas and Ferb are stepbrothers on summer vacation. And since the days of summer are so precious, they vow to fill every single one with different kind of adventures: building the world’s tallest roller coaster, making a ski resort in their backyard, going on a quest to find a mummy, starting a rock band and becoming one-hit wonders, and so forth. Their older sister, Candace, is constantly trying to show their mother evidence of their misadventures, only to have it wiped out at the last minute, leaving her frustrated and forlorn. Oh — also, their pet platypus, Perry, is a secret agent who has to constantly thwart the schemes of the (kind of) evil Dr. Doofenshmirtz. It’s absolutely absurd. And also, incredibly funny. The show, created by two writers who used too work on such diverse shows as Rocko’s Modern Life and, on the other side of the spectrum, Family Guy, is remarkably self-aware. Much of the humor comes from the characters pointing out the absurdity of their situation every step of the way. (A running gag involves some adult asking Phineas if he isn’t too young to be involved in whatever the project of the day is — roller coaster construction, for example — to which he simply replies, “Yes, yes I am,” and then goes on and does it anyway. Dr. Doof seems fully aware of how outlandish his schemes are (giant laser pointers, flooding the ocean to turn his own land into oceanfront property, etc. ), but he’s compelled to go through with them anyway. In fact, not only is he compelled to execute the scheme, but he’s unable to do so unless Perry the Platypus shows up (wearing his fedora) to attempt to thwart it. The show trends very closely to breaking the fourth wall and acknowledging its existence as a TV show, with the characters pretty much going along with their insane existence just because they know there couldn’t be a show if they didn’t. That awareness takes what would have been an okay kids’ show and makes it into something that teenagers and grownups can enjoy on an entirely different level than the young’ns. This is what makes for really great kids’ entertainment — don’t exclude anybody. That’s really all there is to it. Too many adults think that you have to dumb down the writing (at one point, reportedly, the network was even afraid the show was “too smart” to air) or kids won’t get it. Phineas and Ferb proves you don’t. Tonight is going to see a pretty big change for one of my favorite TV shows, NBC’s The Office. After seven seasons, Steve Carell is leaving the show and taking his character with him. Michael Scott, of course, has been the star of The Office since its inception: the American analogue to Rickey Gervais’s David Brent, the boss of the Dunder-Mifflin paper company’s Scranton, PA office. Once it was confirmed that Carell was leaving the show, the question immediately arose: Should NBC end The Office with Michael’s swan song? Frankly, this was never going to happen. While The Office has never been a ratings juggernaut, it’s still one of the most reliable sources of ratings for the struggling network, so as long as it’s outperforming such gems as The Paul Reiser Show, expect them to cling to it like grim death. And it’s not like the departure of a star is an automatic death-knell for a series. The aforementioned Cheers, NYPD Blue and ER all lasted many years after the loss of one of their signature stars. And to use another favorite of mine as an example, The CW’s Smallville lost both Kristen Kreuk (Lana Lang) and Michael Rosenbaum (Lex Luthor) — the primary love interest and the main villain — at the same time. And just between you and me, I think the show has been way, way better since they left. So the question is not if The Office should continue, but rather how the show will have to evolve. Even when the storylines were not Michael-centric (such as the long-running Jim/Pam romance in the first few seasons) he was still the center of the storm, the axis around which everything else would turn. With him gone, I think the most important thing is to find the new center of the show, and quickly. And I don’t think that new center necessarily has to be the new boss. NBC is still tight-lipped about who, exactly, will be in charge after the departure of Carell and four-episode guest star Will Ferrel. We don’t even know if it’ll be a new character or if someone on the show will be promoted to Boss status. But that doesn’t mean the center of the show has to be the boss. 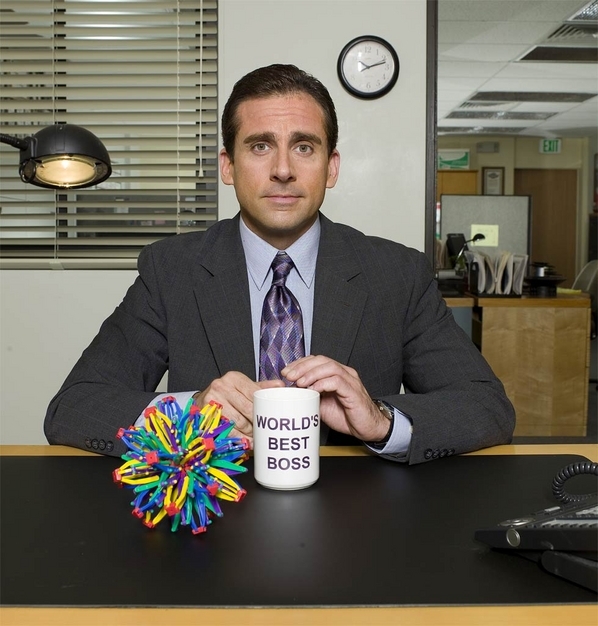 None of the boss candidates from the current cast really has the right qualifies to center the show around, and any new character that they tried to put in that role would feel too much like Michael Scott Redux. I submit to you that the right candidate to be the show’s core is still there, and in fact has been there since the first episode: Jenna Fisher’s character, Pam Beasley. Pam has undeniably showed the most growth, depth, and change out of any character in the series over the past seven years. When we first met her, she was a rather put-upon receptionist, ignored by her co-workers (when she wasn’t being actively taken advantage of) and trapped in an engagement with a creep who appreciated her even less than the co-workers who harangued her to get their copies made. Over the next few years she was jolted out of her comfort zone by the realization that her best friend Jim Halpert (played smartly by John Kraczynski) was in love with her. This started her on a journey that led her to break away from her unhappy relationship, pursue her own interest as an artist, and gain much-needed self-confidence. The change has been fairly realistic though — even now, with a fairly settled life, we see her have episodes where her confidence is shaken and she needs some sort of affirmation, either from Jim or someone else. But she perseveres. Pam has grown. What’s more, she’s in a position to interact with everyone in the office that nobody else short of the boss himself could have. (Except maybe the new receptionist, Ellie Kemper’s character Erin, but she’s not the sort of character you can hang a series on.) Pam, in the last year, has managed to finagle a promotion to “office manager,” which includes the terribly boring tasks of seeing to maintenance, supplies, and what have you, but also puts her in a position where she can be involved with anybody in the cast easily and without having to resort to any convoluted or ridiculous circumstances. Plus, outside of Michael himself, she’s got the most heart and soul of anyone on the show. It’d be a change, and very different from what has happened with those other shows when a star left, but the writers of The Office have proven themselves able to avoid the obvious. Again, I point to the Jim/Pam relationship. In most shows, when the characters with the sexual tension get together, the writers suddenly don’t know what to do with them anymore. This often leads to a contrived breakup, followed by a tedious “will they or won’t” they back-and-forth until the series ends. Even great shows (Friends and Newsradio immediately spring to mind) have suffered from this, and far more mediocre shows have done the same thing. Once Pam and Jim got together, though, they writers have kept them together, unquestionably, and allowed their relationship to grow and mature in a real way. It was gutsy, and for the most part, it has worked. They can apply that same courage to the new center of the show. So consider this my open letter to the writers of The Office, Season Eight. Next year, no matter who is sitting in the boss’s office, make Pam the center of things. It’s your best bet. As for the other show losing a star this season, sorry, writers of Two and a Half Men. You guys are screwed. And once again, friends, it’s Wednesday. Time for an all-new Everything But Imaginary column! This week, I look at the impact of long-term storytelling, how it can work well, and what sins a writer may commit that loses his audience prematurely. But getting into the Wayback machine, we’re looking at my column from November 17, 2004, a column about a topic that’s only really become significant in the last month or so… the story of how the Walt Disney company bought the defunct CrossGen Comics. It didn’t have much of an impact then, but now that Disney also owns Marvel, we’re finally seeing motion on the old CrossGen properties. Let’s see what I said about this way back then, shall we? Unfortunately, just because a major media company owns a comic book company doesn’t mean it’ll get that kind of push. You know who owns DC Comics, right? Time/Warner. Now this has resulted in a few good projects — Batman: The Animated Series and Justice League Unlimited, and even cool stuff like Batman: The Escape and other Six Flags attractions (Six Flags being the theme park chain Time/Warner owns). Heck, do you think if it weren’t for this sort of corporate synergy we ever would have gotten the decades-in-coming Superman/Bugs Bunny crossover? But these things, unfortunately, are the exceptions that prove the rule. That’s the whole problem with DC movies over the past decade and a half — there’s no competition with any other studio, so there’s no incentive to make a fantastic movie or lose the license. If Spider-Man had tanked, Marvel Comics could have blamed Columbia Pictures, not renewed the license and taken it to another studio to try again. But Catwoman stays at Warner Brothers no matter how bad the movie is. The closest thing we’ve got to an escape on the horizon is the news that a potential Shazam! movie may be made by New Line Cinema instead of Warner Brothers… but New Line is still a subsidiary of — anyone wanna guess? You in the back wearing the Def Leppard t-shirt and the polka-dotted bow-tie? Thaaaaat’s right. Time/Warner. Folks at DC have often admitted, candidly, that if Warner Brothers could trash the entire comic book operation but still keep the characters viable, they would. Now one has to assume that Disney wouldn’t do such a thing to CrossGen, at least not any time soon, or they wouldn’t have bought the assets in the first place, but the fact is, we’ve still got to keep a clear head about this. It’s possible. Then there’s the other question. Disney has its hands in almost every form of entertainment — movies, TV, theme parks, book, music… but can they run a comic book company? Well, the answer last time… is no. Well, because Disney doesn’t publish any of those comics. Back in the 40s and 50s, there was a little comic book company called Dell. You may have heard of it. Dell published an awful lot of comics, and a vast number of them were licensed comics. Back then, nearly every TV show, movie and newspaper strip had a comic to go with it. Dell published Looney Tunes, Peanuts, Lassie, The Lone Ranger, Tarzan, Leave it to Beaver, I Love Lucy and — oh yeah — Disney Comics. But Dell eventually faded away and the Disney license, along with many others, wound up at Western Publishing, which produced the comics first under the Gold Key imprint and later under the Whitman imprint. Then Gold Key went away as well and the Disney license was lost for a while until Gladstone Comics was formed in the 80s. (Gladstone was even named after Donald Duck’s lucky cousin.) Gladstone was immensely successful with rejuvenating the Disney line. So successful, in fact, that in the early 90s, Disney decided to take a crack at doing the comics themselves. They revoked the license from Gladstone and started publishing their own comics, continuing classics like Mickey Mouse, Uncle Scrooge and Walt Disney’s Comics and Stories, and adding in titles for the hot properties of the time like Roger Rabbit, Darkwing Duck and Tailspin. But Disney, which was so successful at everything else, didn’t seem to have the passion for comics to keep the company going. Disney’s first issue of Uncle Scrooge was #243. Their last was #280, then they gave up the ship and Gladstone took over the license again. Gladstone had a good run of a few more years, but then they closed up shop too in 1999. Then, horror of horrors, there were no Disney comics available in the U.S. until just last year, when Gemstone Comics took up the license and brought them back. So what will be different about Disney trying to publish comics this time? Well, for starters, the press release said the new Abadazad comics will be under their Hyperion imprint, which typically publishes prose books (including children’s fantasy like Dave Barry and Ridley Pearson’s recent book Peter and the Starcatchers, an excellent prequel to J.M. Barrie’s Peter Pan). They also said that four Abadazad books are initially planned. This would seem to indicate that they aren’t going to get into the business of trying to publish monthly comics again, but instead will most likely print books. Whether they’ll be hardcover or paperback, standard size or digest, I don’t know, but printing and marketing books is what Hyperion is good at, so that means there’s a fighting chance. The most important thing, I think, is to make sure they keep writer J.M. DeMatteis and artist Mike Ploog, who created the title and own a portion of the copyright. This book is their baby, and they did a marvelous job on the three issues that actually saw print before CrossGen closed up shop. And the rest of the CrossGen properties? Well… time will tell. But when Abadazad comes out, give it a read, okay? Especially if you’ve got kids. It’s the best fantasy comic you could ever give to them. And if anyone at Disney is reading this… please… could you maybe publish the end of Negation War? This week’s favorite was actually a tighter race than you might think, folks. Ultimately, Identity Crisis #6 did win out, because the conclusion of that book still has me reeling, and any comic that still so occupies my thoughts a week later is deserving of special recognition. But since IC gets the glory all the time anyway, I’m also going to give a shout out to Avengers Finale. While I thought the conclusion of the Avengers Disassembled storyline kind of petered out and disappointed with the revelation of the big villain of the piece, this finale was spot-on perfect. It was an excellent examination of the team, the characters, the history and the legacy of Marvel’s major supergroup. Plus it had the Beast in it a lot, and I always liked him as an Avenger. Hey, Bendis, any chance we could maybe sneak him into New Avengers instead of Wolverine? Brace yourselves, folks, it’s time for another incredible announcement in refreshment, a brilliant beacon of hope for the parched, a revelation unmatched by any since virtually an identical revelation about a month ago: there is (drumroll please) a new soda on the market! Okay, technically it’s not a new soda, it’s yet another variety of an old soda. I discovered it just a few days ago as an enormous display of them stood out, calling to me from the Wal-Mart cooler that’s always broken. Ladies and gentlemen, we now have… Coke Zero! I’m not sure what, exactly, qualifies this beverage as a “zero.” Zero calories, zero sodium, zero carbs, maybe? At any rate, it calls to mind another recent breakthrough, Sprite Zero, and of course makes it sound like they’re just trying to one-up their biggest competitor, Pepsi One. Of course Pepsi is planning to fire back in a few months with Pepsi Negative One, which Coke will follow with Coke Negative Infinity, which inevitably will lead to Pepsi Negative Infinity Plus One No Takebacks Nyeah Nyeah Nyeah. Royal Crown Cola, still not quite grasping the concept, is currently in development of RC A-Squared Plus B-Squared Equals C-Squared. Pepsi should take comfort, however, in the fact that for once Coke is following their trend instead of the other way around. In the past we’ve seen Cherry Coke followed by “Wild” Cherry Pepsi, Coke with Lime followed by Pepsi with Lime, and Vanilla Coke followed by (this is the innovator) Pepsi Vanilla, which inexplicably featured, in its commercial, a delivery truck with giant speakers that bounced like an arthritic rabbit. Pepsi’s commercials make me think of that kid in high school whose efforts to join the cool crowd were so sadly pathetic that they let him hang around just because they felt sorry for him. There was also Coke’s low-carb soda, C2, which was followed by Pepsi Edge, both of which, to the best of my knowledge, have vanished from the face of the Earth. I never drank Pepsi Edge, as the only Pepsi product I can stomach is the Cherry variety, but I did drink C2 a few times, mostly around my pal Chase because I knew he had an inexplicable hatred for the product and it would annoy him. The only other blow Pepsi really struck first in the soda wars over the last few years was with Pepsi Twist, which featured lemon flavor in the Pepsi. Coke followed this, of course, with Diet Coke with Lemon, which would have been more innovative if people hadn’t been inventing the same flavor on their own in restaurants for years. Other sodas, of course, are tossing their own efforts out to the public. We’ve had multiple varieties of Sprite Remix, Sierra Mist Free, Cherry Vanilla Dr Pepper (a two-fer) and Diet Cherry Vanilla Dr Pepper, which I personally declare to be the nectar of the gods, assuming the gods drink soda. Even bottled waters have joined the fray, with Dasani adding Raspberry and Lemon flavors to its roster and Aquafina throwing in fruit of their own, both beverages aiming for the “I know I should drink water but it tastes like… well… water” demographic. I must admit, though, I’m surprised we haven’t seen a stronger showing from Fanta. In Europe, there are about a hundred different varieties of this brand of fruit-flavored sodas. Here in the states, we’ve only got the four basic flavors: strawberry, grape, orange and yellow. One would assume they’re busy auditioning additional Fantanas before they try to spring some of the other flavors on us. But come on, admit it — aren’t you curious as to what Kiwi Fanta tastes like? Yeah, me neither. I’ve decided, however, that it is time to offer my services in the soda wars (and to collect the hefty paychecks that I can only assume would accompany such a prestigious position). There are two ways I would consider being such an operative. On the one hand, I would allow Coca-Cola to pay me millions of American dollars, for which in exchange I would begin offering them my ideas and taste buds to develop new flavors such as Chocolate Coke, Grape Coke, Cinnamon Coke and Coke So Good It Makes You Wanna Slap Your Momma. However, if that didn’t pan out, I would also allow Coca-Cola to pay me millions of dollars to go work for Pepsi, where I would begin to push flavors like Turnip Pepsi, Rhubarb Pepsi, I Can Believe It’s Not Pepsi and, of course, Pepsi With Worcestershire Sauce, which would be a surprisingly popular flavor in Keokuk, Iowa, but would bomb everywhere else. I am now accepting offers. In the meantime, folks, stay refreshed. 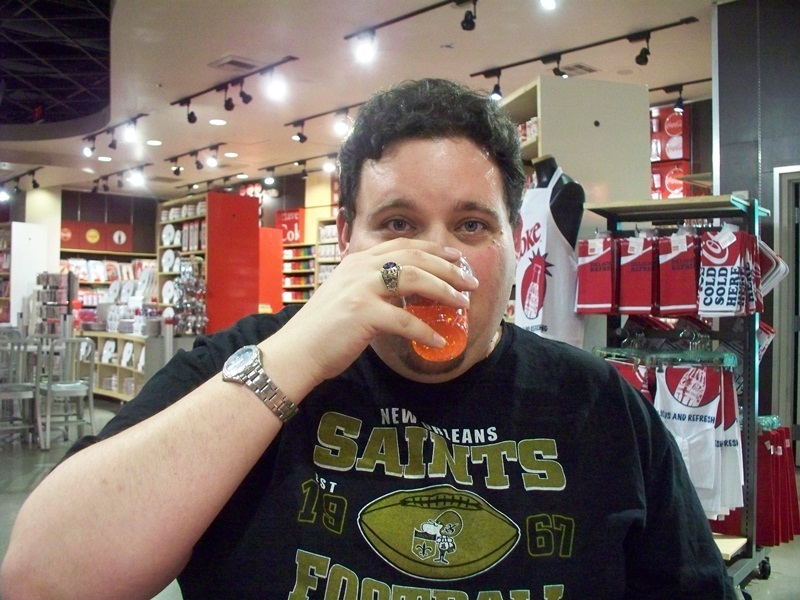 Blake M. Petit is sitting on a top-secret weapons in the soda wars. Three Words. White Russian Tab. Contact him with comments, suggestions or to start hurling money at him at BlakeMPetit@gmail.com. HEATHER: I’m so glad I didn’t have an ugly baby. ‘Cause I’ll be honest, that’s something I was worried about. So many people have ugly babies and don’t even know it. The rest of us, including six-month-old Maggie, all just kind of stared at her. Conversations are not transcribed verbatim. They are altered for length, to provide appropriate context, and to make them funnier whenever necessary. Frankly, all you can count on in these posts is that at some point, I had a conversation with somebody about some subject. Blake and Kenny are back together this week to run down all the movies hitting your theaters in the summer of 2011! From the big comic summer of Thor, Green Lantern and Captain America to the latest Harry Potter and TransFormers, offerings for the kids, movies for the gals, indie stuff you’ve never heard of, and REMAKES! REMAKES! REMAKES! Lots of remakes in August, is what we’re sayin’. In the picks this week, Kenny goes with Justice League: Generation Lost #23 and Blake was into Doctor Who: A Fairytale Life #1. Contact us with comments, suggestions, or anything else at Showcase@CXPulp.com!